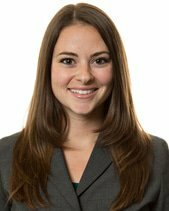 Emlyn Mandel focuses her practice on complex commercial litigation and white-collar and securities litigation. Ms Mandel represents corporate and individual clients in a wide variety of litigation and enforcement matters, including governmental investigations, regulatory compliance, securities litigation, and complex commercial litigation. Ms Mandel has represented clients in the financial services (banks, hedge funds, private equity funds and mutual funds), pharmaceutical, technology, healthcare and retail industries.